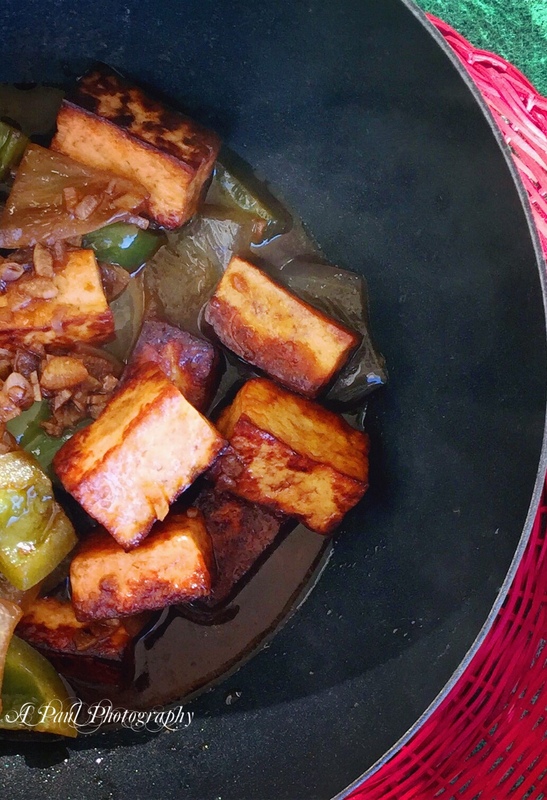 Chili Paneer is cottage cheese recipe with Paneer cubes, white onions, capsicum and garlic cooked with/without gravy in Chinese hot and sour sauces. Cut paneer, capsicum and onions into cube size pieces. Chop garlic finely. Deep fry the paneer in hot oil until golden brown and crisp from all the sides. Drain and put in warm water to soak for 10 minutes. Keep aside. Heat oil in a kadhai, add chopped garlic, ginger paste, white onions and capiscum and stir fry for a minute. Add the red chili paste and stir fry for 30 seconds. Add the paneer and stir fry for one minute. Add the soy sauce and toss well. Add a little water if making chili paneer with gravy.